AS OF 31st DECEMBER 2018 LAND ROVER STOPPED OFFERING APPROVED SERVICE PLANS TO CUSTOMERS BUYING NEW VEHICLES. WE WOULD SUSPECT THAT ANOTHER ALTERNATIVE SCHEME MAY BE INTRODUCED AT SOME STAGE IN THE FUTURE. MEANWHILE, THERE IS NO BETTER TIME TO SAVE ON MAIN DEALER SERVICING COSTS BY BOOKING YOUR VEHICLE INTO ROVERTUNE LTD., WHERE EXCELLENT CUSTOMER SERVICE PREVAILS AND TOP QUALITY WORKMANSHIP IS ASSURED. Land Rover introduced in 2013 Approved Service Plans for the then new Range Rover Sport, Range Rover Evoque, Discovery Sport, later versions of the now discontinued Discovery 4 and has extended them to the latest All New Discovery (from 2017MY) and Range Rover Velar (from 2018MY) which are designed to lock-in customers for Main Dealer Servicing for up to 5 years as Independent Land Rover Specialists cannot compete on cost if they are to comply fully with the manufacturers servicing requirements over this period. These service packs cover the basic service actions, but do not cover general ‘wear and tear’ items such as replacing brake discs, pads, tyres, exhausts and other general maintenance items etc. 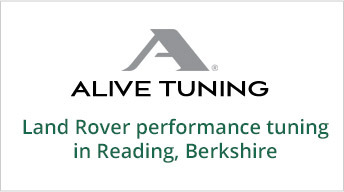 Rovertune Ltd will be happy to undertake all non basic service items, or any other item identified by a Main Dealer on any vehicle covered by the Approved Service Plan and will guarantee customers will see substantial savings against their advised costs for such work as this will be undertaken at their normal hourly rate and not that used within the reduced Approved Service Plan labour rate. We have many customers who have taken advantage of this after being surprised at the high costs charged by the Main Dealers on all work that falls outside of the service plan. Why not put us to the test and let us prove just how much you can save.